Expectations among governments, civil society groups and other institutions and sectors varied wildly in the lead up to the UN climate talks in December 2018. The venue for the UN conference was, after all, the city of Katowice in Silesia, the coal heartland of Poland. Not even the release of a special report in October by the Intergovernmental Panel on Climate Change on the impacts of limiting global warming of 1.5 degrees Celsius (°C) above pre-industrial levels, an upper limit the Philippines and other vulnerable countries helped enshrine in the Paris climate agreement, could reverse the sense of drift permeating the halls of Poland's international convention center. Uncurbed air pollution and the opaque, inconsistent Polish leadership combined with the intense cold to dampen daily the determination of many to eke out a respectable conference outcome. And yet the 48-government strong Climate Vulnerable Forum (CVF) still managed to wrap up COP 24, as the Katowice round of negotiations has been called, with optimism. This is largely because the CVF set for itself a goal for Katowice high enough that reaching it was shrouded in doubt until the last few hours of the negotiations: gavel through a global commitment to keep to a global emissions reduction and resilience trajectory consistent with the Paris Agreement. This includes accord among governments on the Paris rulebook--far from perfect, as gaveled, but adequate to guide the next period as a coherent set of implementing rules and regulations. The Katowice decision, backed by all parties, is critical to vulnerable country interests. It is the logical outcome of years of collaborative intergovernmental work building on milestone after patient milestone the agenda of small countries that have decided to move together to advance common interests. The CVF was instrumental in enshrining the 1.5 degrees temperature threshold in the Paris Agreement. The Forum also took the lead in requesting the IPCC to come out with a special report on the implications of global warming breaching the 1.5 Celsius limit. In 2016 during the Marrakech COP, to increase pressure on high emitting countries and to counteract the gloom brought about by the election of Trump in the US, the CVF committed to, among other actions, transition to 100 percent renewable energy-powered economies by 2050 if not earlier so long as means of Paris implementation is provided. Two months prior to Paris, the CVF helped establish its sister organization, the V20 Group of Finance Ministers of Vulnerable Countries. The goal: ensure transformation imperatives that take advantage of the benefits a low carbon economy brings while dramatically reducing vulnerabilities to climate change are carried over to and driven by the real economy. Initially hesitant, given the way climate change has been pigeonholed as an environmental issue for decades, and due to the way negotiations over the climate treaty have been assigned to foreign ministries, V20 members quickly warmed to the idea of exercising their own brand of leadership and expertise over the climate crisis. Finance ministers saw the unique position they were in in terms of evaluating economic risks and gains while developing, using, and securing instruments that help leverage resources and create economy-wide changes in response to the long-term implications of climate change. In its official communique, the group said "continued over-reliance on carbon-intensive energy systems is building accumulated financial risks globally" while highlighting an Ernst and Young report which indicated "€86 billion in carbon-intensive utility assets were already written off in Europe between 2010 to 2014." The group said "similar write-offs within V20 economies would severely impair economic stability and growth of their economies." The association of finance ministers framed the climate change challenge with requisite clarity in 2017, when it said "It is time to act strategically to advance truly transformational programs that redesign nothing less than the investment agenda of the world economy." The group organized a task force of independent experts "to assess the financial requirements for climate action consistent with the Paris Agreement, with a view to delivering maximal resilience and low carbon development consistent with the 1.5 Celsius limit." The V20 distinguished its voice in the climate community by calling for the immediate removal of market-distorting fossil fuel production subsidies no later than 2020 while urging the G20, the grouping of the world's largest economies, "to set... a clear timeframe for fossil fuel subsidy elimination." The V20 said "[f]ossil fuel consumption subsidies need to be checked rigorously whether they provide an actual benefit to the poor, and subsequently should be replaced worldwide without harm to those relying on them for their basic energy needs." Perhaps more boldly, the V20 called on "the G20 to lead with the V20 in a drive towards ensuring all emissions are subjected to carbon pricing." According to the V20, "Further to the V20 commitment to work to put in place carbon pricing mechanisms by 2025, we highlight the progress made by a number of members towards this end, and call for additional support from International Financial Institutions to assist the efforts of members in this respect." Former president of the Maldives, co-founder of the CVF and current chair of the Association of Small Island States (AOSIS) Mohamed Nasheed also conveyed the Forum's emphatic message: “We are not prepared to die. We have no intention of becoming climate change’s first victim. We will do whatever it takes to survive." As the talks in Poland wound down, the CVF recognized the way text on enhancing ambition could have been stronger even as it applauded the outcome. The Forum fought to inject in the Katowice decision text that called urgent, highest efforts on adaptation and mitigation by all” as well as enhanced financing for developing countries to enhance ambition." The CVF's call for all countries to update their NDCs by 2020 made it clear that 2020 (and not 2025) is the moment when ambition updates need to come. The Forum's call is reflected in the Katowice decision detailing preparations for the implementation of the Paris Agreement and the first session of the Conference of the Parties serving as the meeting of the Parties to the Paris Agreement. Paragraph 14 in Item III of the decision "Stresses the urgency of enhanced ambition in order to ensure the highest possible mitigation and adaptation efforts by all Parties." Paragraph 22 further clarifies the decision by reiterating its request to countries "whose intended nationally determined contribution ... contains a time frame up to 2025 to communicate by 2020 a new nationally determined contribution and to do so every five years thereafter" while paragraph 23 singles out countries "whose intended nationally determined contribution ... contains a time frame up to 2030 to communicate or update by 2020 the contribution and to do so every five years thereafter." While developed countries clearly need to do far more far earlier, there is no ambiguity in the Poland decision agreed by all countries: everyone needs to contribute their fair share of climate action. 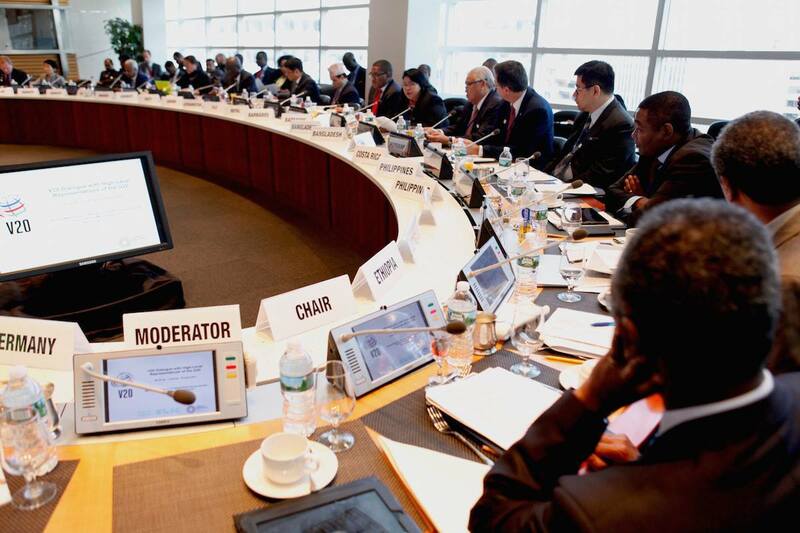 Climate finance was one of the more compelling subjects tackled at the Katowice negotiations. Decisions at the COP fell short of many expectations but updates on global finance flows provided a positive glimpse showing progress made as well as serious challenges in the near term. In Poland, the UN climate convention's expert body on finance provided to the public its third Biennial Assessment of Climate Finance, which outlined "the state of finance flows up to 2016, the latest year for which countries are required to report to the UN." The work of "a team of technical experts, then extensively reviewed and approved by ... 20 government representatives" from developing and developed countries, the assessment pegged global climate finance flows at US$681 billion in 2016, registering an increase of 17 percent over 2014 figures. The World Resources Institute (WRI) reported a drop in renewable energy investments by 16 percent in 2016 "in part due to falling technology costs, which makes it possible to do more for less." But WRI said this "was partly offset by an 8 percent increase in energy efficiency investments and a 35 percent increase in sustainable transport investments." The mobilization of resources is aimed at fulfilling the $100 billion commitment which forms "a key part of the grand bargain that underpins the Paris Agreement." And so far, the effort seems to be aimed at the right trajectory. According to WRI, "public climate finance from developed to developing countries reached $55.7 billion in 2016, a 30 percent increase over 2014 levels. About 60 percent of this money went through bilateral and regional channels, 35 percent through the multilateral development banks... and four percent through multilateral climate funds such as the Green Climate Fund. Around half of finance funding flows through bilateral and multilateral climate funds was delivered as grants, while three-quarters of MDB funding finance was loans." Behind the numbers of course are issues of long-standing concern. Fundamental issues of historical responsibility obliges all developed countries not just to set aside resources needed by developing countries to help mitigate global greenhouse gas emissions and adapt to new realities; they need to deliver finance and funds in a predictable manner, putting premium on accountability measures based on scale and modalities responsive to developing country needs and the urgency of the climate threat. This is in particular due to the design of the Paris Agreement, where commitments by developing countries, in particular the most vulnerable among them, demonstrate requisite ambition and a willingness to strengthen climate action dramatically if financial means to act are provided with dispatch. 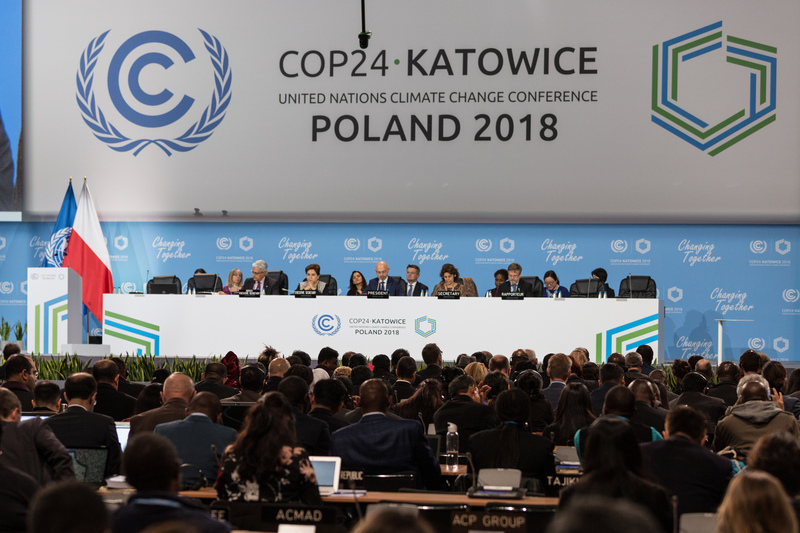 Katowice was seen as a critical opportunity to provide signals that the effort to confront the climate menace would be global and collaborative. Unfortunately, as the Heinrich Böll Foundation described the climate finance outcome, the conclusion of COP 24 "was unsuccessful in providing those reassuring signals." The Böll Foundation is correct. The Poland talks came up short in tying together "indicative, advance reporting on expected public finance provisions with a clear reporting procedure as part of the Paris Rulebook of how much climate finance developed countries have actually provided over the past two years." Katowice ended by keeping unchanged the grossly imbalanced accountability regime which provides developed countries an excess of wiggle room to interpret on their own what they deem as "new and additional" finance, incorporating what Böll Foundation monitors described as "an almost limitless set of financial flows and even non-financial efforts." Again, they are correct. There remains a specific setting of course that often and largely goes by undebated or under-articulated. This is tied directly to the old adage "be careful what you wish for, you might just get it." If the aim of mobilizing US$100 billion annually is realised tomorrow, few countries will actually be ready to harness the resources. Whether as colossal transformational opportunity or existential threat, the climate crisis is far -- very far -- from being baked-in to long-term development strategies in the developing world. Thus, if resources arrive tomorrow at the actual scale and speed demanded by developing country governments, funds will from experience only be dissipated, wasted, or stolen and spirited away in secrecy jurisdictions. Shared leadership means vulnerable country governments need to urgently put in place plans that reflect readiness to put in place, implement, and see through the hard work of baking in climate change into long-term, transformational economy-wide programs. This requires the mobilization of domestic finance as a priority, alongside a redesign of institutional arrangements that guard against approaches treating climate change as a silo. Of course, all this is easier said than done. Climate finance flows to vulnerable countries remain incoherent and subject too often to contributor country interests that exacerbate or, at times, exploit, fragmented institutional linkages and planning processes. The delivery of enhanced NDCs before or by 2020 will certainly help establish stronger country ownership of climate change action plans, but it will not be enough to make "finance flows consistent with a pathway towards low greenhouse gas emissions and climate-resilient development, as Article 2.1c of the Paris Agreement mandates. Experience from the Adaptation Finance Accountability Initiative + is illustrative of similar challenges in Vietnam and the Philippines. Around US$5.7 billion of climate-tagged finance from OECD countries and multilateral and bilateral sources was committed to the Philippines covering the period 2009-2017. This is composed of US$3.3 billion in mitigation-tagged finance commitments while adaptation-tagged finance represents $2.4 billion. Yet only US$ 400 million in mitigation-tagged finance has been disbursed while disbursements in adaptation-tagged finance commitments is only at US$1.5 billion. 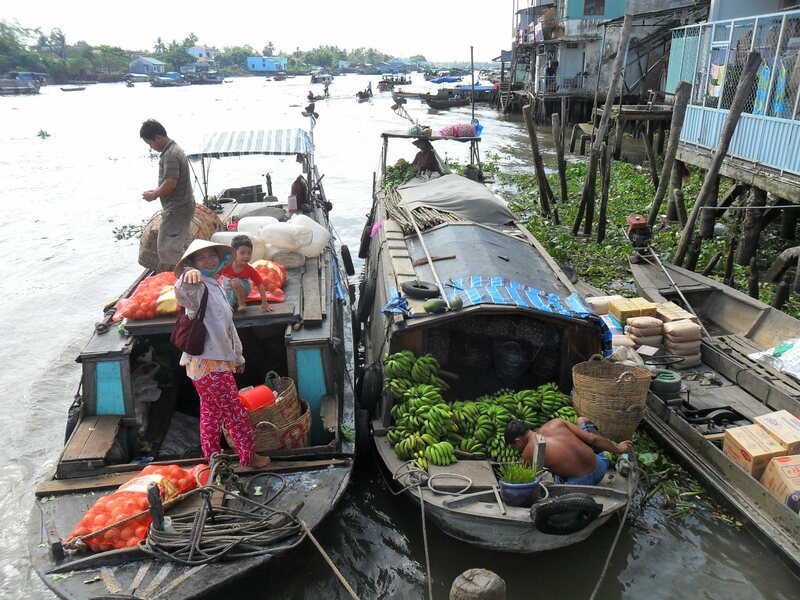 In Vietnam, total climate-tagged finance that has entered the country's coffers from abroad in the period 201-2017 stands at US$10.3 billion, of which US$5.7 billion and US$4.6 billion represent mitigation-tagged and adaptation-tagged finance commitments respectively. However, only US$ 2.6 billion has been disbursed from committed adaptation finance and US$2.8 billion in mitigation-tagged commitments. What explains the disparity between commitments and disbursements? And how much of committed and disbursed funds reflect the climate and development priorities of the Philippines and Vietnam? The top recipient of adaptation-tagged climate finance in Vietnam is water supply and sanitation. 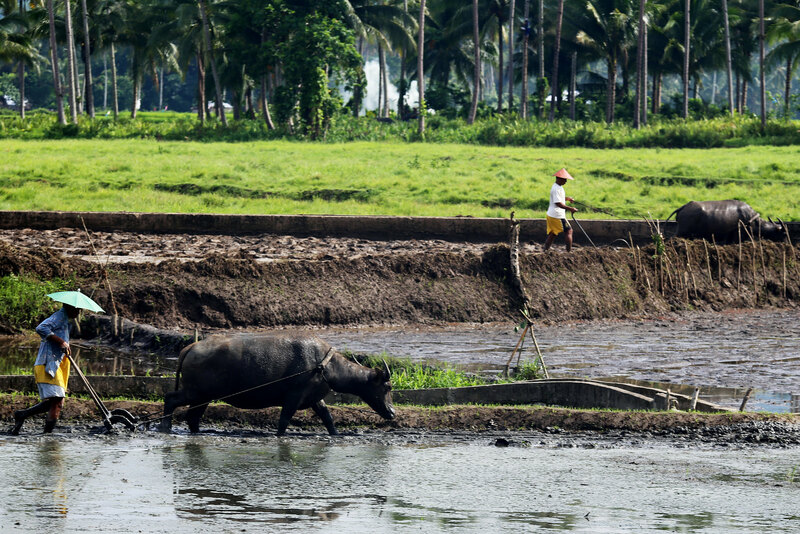 Most adaptation finance that entered the Philippines from overseas was channeled to reconstruction, relief and rehabilitation, which often involve after-the-fact, post-trauma contexts that do not right away meet adaptation definitions. In terms of mitigation-tagged finance, the top recipient in Vietnam and the Philippines is transport and storage. Will enhanced NDCs delivered by both countries reflect similar priorities?